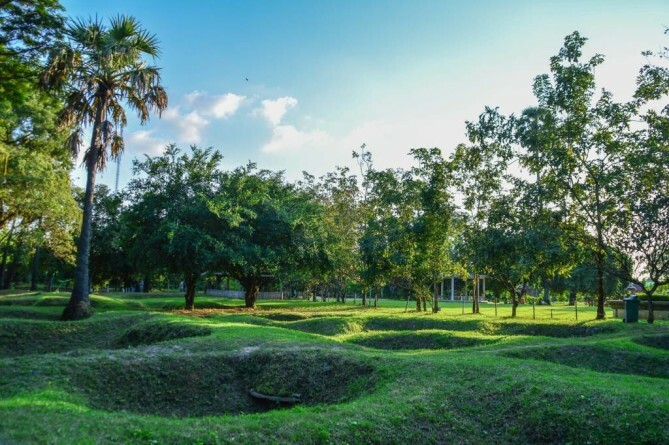 One of the ASEAN hidden gems, where its historical sites almost outweigh urban areas, is Phnom Penh, Today’s Phnom Penh travel guide reveals Cambodia’s capital city giving you a glance of one of the greatest cities in South East Asia and was once the gem of Indochina. Those in the know perceive Phnom Penh as a gateway to many exotic attractions with monasteries as a key. Despite undergoing serious sabotage of wars during the Khmer Rouge, Phnom Penh has eventually brought back to life with history’s remnant and future prospect. 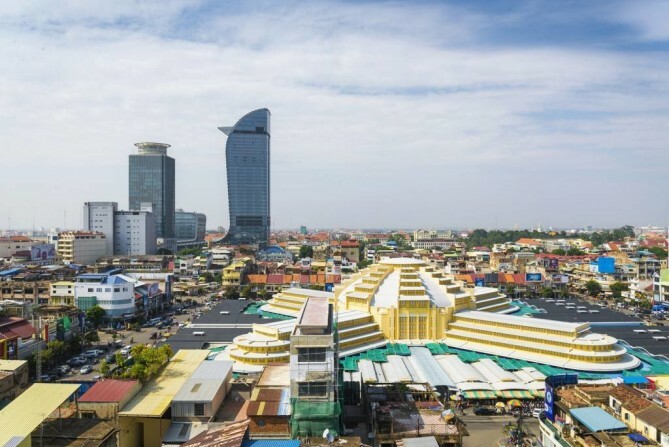 Most of the capitals still can’t claim to be people-friendly cities like Phnom Penh does due to the fact that Cambodians have not yet become worn out by mass tourism. In spite of fewer tourists, Phnom Penh is on the way of rapid change and catching up fast-moving development of the outside world. If temples, museums, royal palace are something you’re after, Phnom Penh can be your best bet. 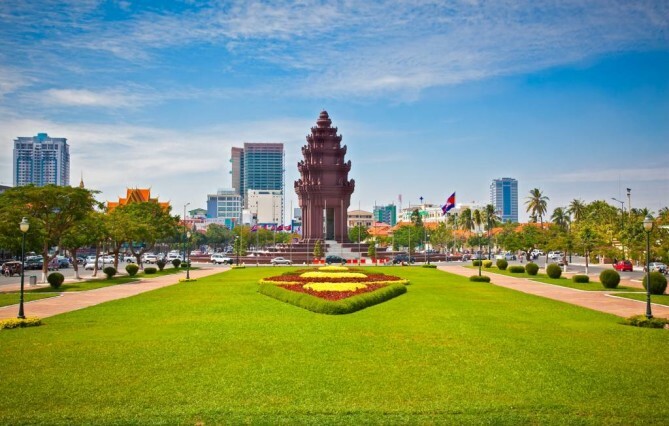 In addition to those cultural elements, Phnom Penh is the face of Cambodia’s best version as it is the biggest and wealthiest city dubbed the ‘Pearl of Asia’. Today’s Phnom Penh travel guide is not complete without the mention of the Royal Palace and the Silver Pagoda. 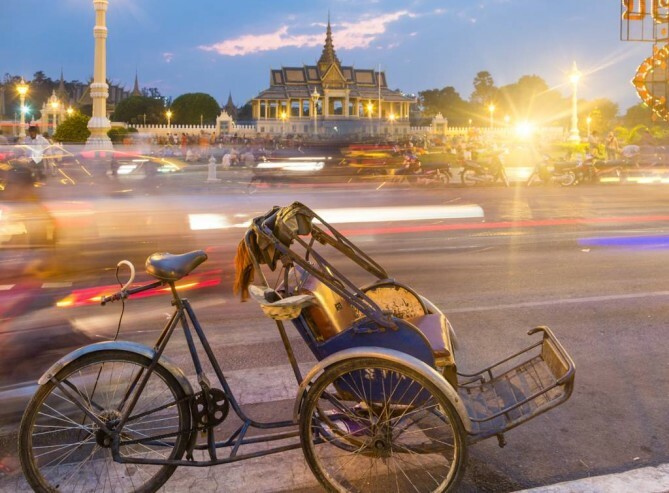 One of the things to do in Phnom Penh is to admire Phnom Penh’s most celebrated heritage where inspiration were taken greatly from the Grand Palace and Wat Phra Kaew in Bangkok, Thailand. Such influence does include its name since Cambodians call it Wat Phra Kaew in Khmer language, which literally denotes to Temple of the Emerald Buddha. The gleaming yellow walls together with classic Khmer roof make it the most conspicuous building in Phnom Penh. Having built in 1866, the Royal Palace was constructed after King Norodom moved the capital from Oudong to Phnom Penh. The Royal Palace as the King’s residence is usually chosen for foreign dignitaries and government official celebrations while the Silver Pagoda lies extraordinary silver-covered floors. The staircase leading to the Silver pagoda is also made of Italian marble. 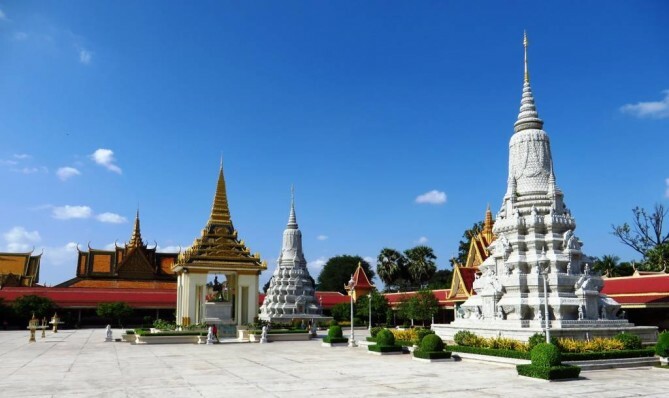 The well-decorated pagoda is said to enshrine the Emerald Buddha, a precious Baccarat-crystal sculpture. Both the Royal Palace and the Silver Pagoda has always been a combined visit thanks to its very close proximity. 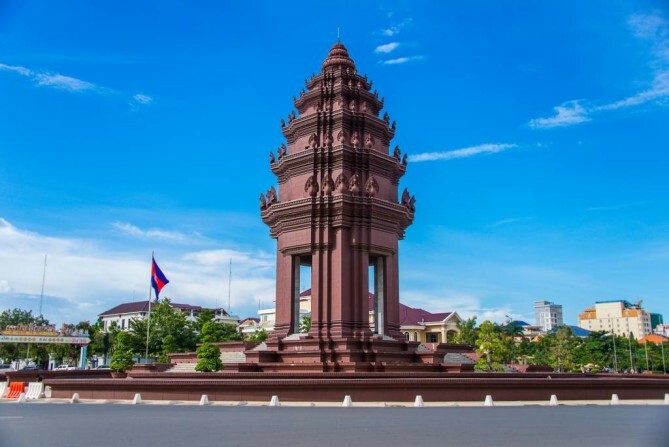 Ever since Cambodia declared its independence from France in 1953, five years later the Independence Monument was built so as to commemorate Cambodian’s patriots who died for the country. 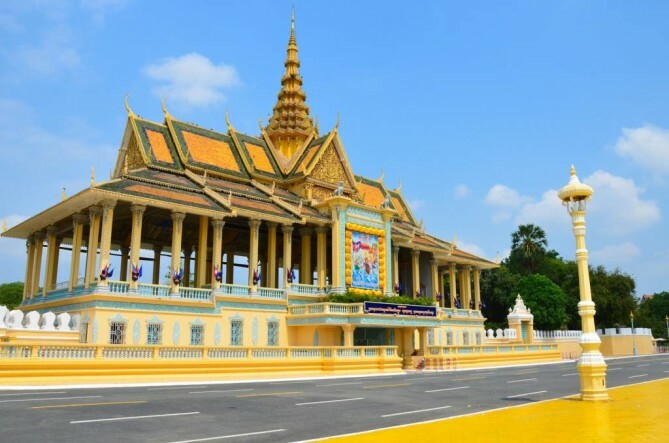 Sitting right at the downtown’s intersection of Norodom Boulevard and Sihanouk Boulevard, the Independence Monument welcomes tourists 24/7 showing Angkorian style with lotus-shaped stupa, one of the places to visit in Phnom Penh. The five-tiered roof stupa are well decorated with snake heads making it one-of-a-kind and always shown on the cover in any Phnom Penh travel guide. The dazzling sun highlights the memorial’s intricate design during daytime while it looks even more brilliant at night when the floodlight of Cambodian national flag of red, blue and white lit up the monument. Even though visitors are not allowed to enter the stupa, the Independence Monument is best for obligatory photo opportunities from across the street. 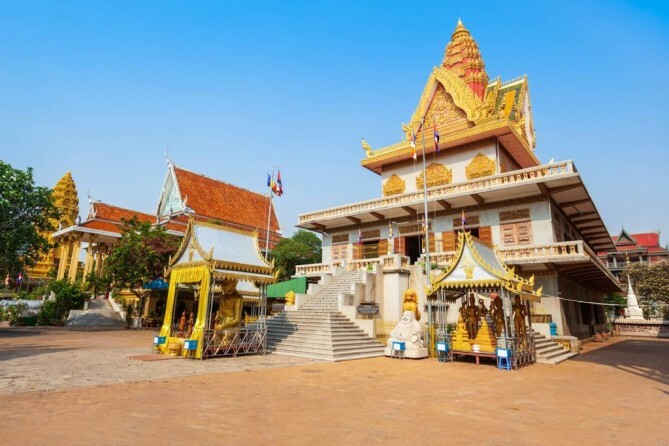 Follow today’s Phnom Penh travel guide to witness Cambodia’s leading religious site at Wat Ounalom, one of the places to visit in Phnom Penh. From the year of its creation, Wat Ounalom is almost 600 years old by now. So visiting Wat Ounalom is to grasp the Cambodia’s past and to ensure that you’ve really arrived Phnom Penh’s focal point. 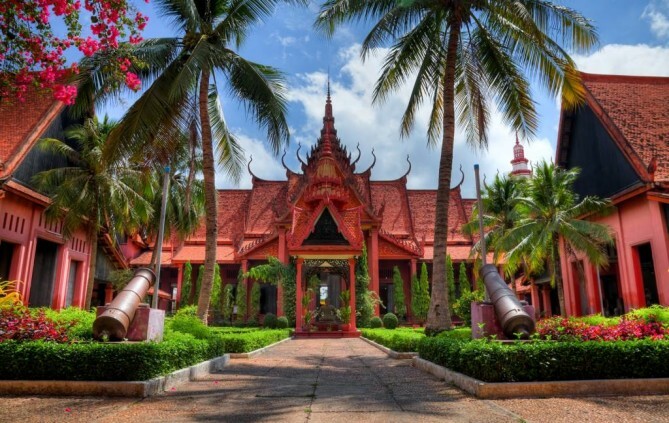 Besides, Wat Ounalom was built to enshrine an eyebrow hair (ounalom) and the décor smoothly blends in antiqueness with its four bronze images of Buddha by each side facing the cardinal directions. Believe it or not, dating back to the Khmer rouge regime when the subsequent of wars has resulted in loss of valuable cultural treasures and the slaughter of the majority of monks, however, one thing that miraculously survived up until today is the Buddha’s eyebrow making it a veritable spiritual center among Cambodians. 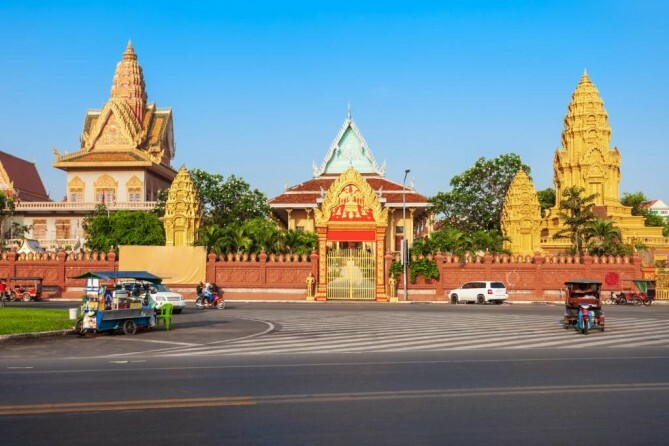 Those who wish to drop by a visit can do so conveniently and you can combine a trip to nearby attractions such as Street 172, Phnom Penh’s Riverside precinct, the Palace and Kandal Market. Far toward the outskirts of Phnom Penh, it lies one of the most scary places to visit in Phnom Penh. Astonish travelers since its name, the Killing Fields displays how cruel things once were here. Perhaps strangely to say it out loud, travelers can call it ‘Choeung Ek’ as alternatively known for the locals. Regardless of any terms it is called, here is a vivid reminder of brutality when Pol Pot was in power. 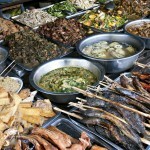 That’s why today’s Phnom Penh travel guide added it to travel bucket list. It is pretty much irrational to say that the elimination was for anyone who could be a threat to his regime. Such was the case with citizens who were teachers, doctors or English learners that were already marked the line for perish. This nightmare of fear and violence began between 1975 to 1979, when millions of Cambodians were death and it was one of the darkest times. 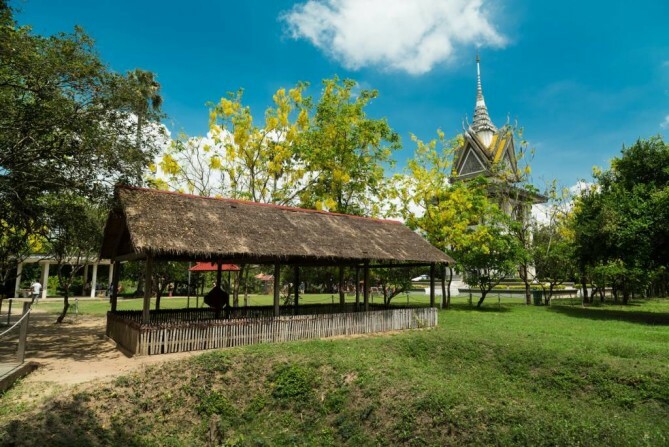 Exploring the Killing Fields can arise emotional and horrible reminders can be found every step. It is hard to admit that those freshly scars are still left until today. What makes your experience unique is to walk through the past of the city you’re visiting. That’s why one of the things to do in Phnom Penh can’t go further than dropping by at National Museum. 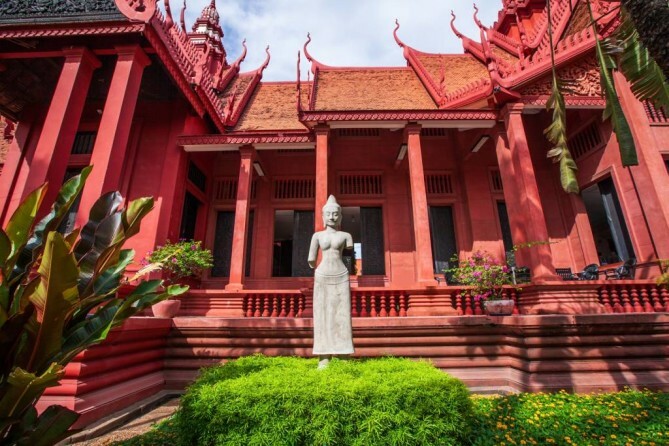 Other than being the country’s leading historical museum, the National Museum collects the most of Khmer art and is a treasury of Cambodian cultural history dating back to the 4th century. The red-walled buildings covered by red tiles are within walking distance of the royal palace. Despite they are two separate complexes, they are visited at once. Officially inaugurated in 1920, it is almost 100 years by now that the famous author and curator ‘George Groslier’ initiated this place. Dubbed as the largest archaeological site in Cambodia, National Museum houses 14,197 items such as ceramics, sculptures, bronzes, stone and ethnographic objects. All of the materials stored in there can be ranged from prehistoric period to Angkorian to during the Khmer Empire. Up until today, the Museum is still working in progress exhibiting and safeguarding its cultural heritage. So follow this Phnom Penh travel guide and visit the National Museum for cultural immersion experience. 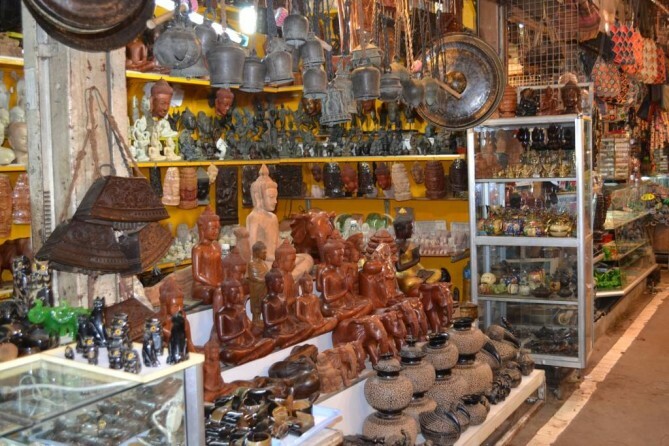 Regardless of vacation or business trip, no one denies that shopping is still one of the things to do in Phnom Penh. Sparkling bright yellow domed hall is officially known as Central Market, said to be Cambodia’s largest market. Trust today’s Phnom Penh travel guide that shopping is no longer just a time-killing activity since a variety of items can be found here. Whether it be gold or silver jewelry, antiques, garment and fresh Cambodian cuisine, central market serves you with taste and style. Cambodians call it Psar Thmei (new market). Despite its construction in 1935, the Central Market looks new still with its gold ornament and striking art-deco dome in Babylonian ziggurat style allowing for photo opportunities that must be done in Phnom Penh. 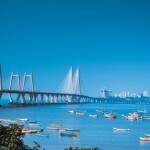 Such architectural design permits high ventilation, large, open and airy atmosphere. Regarded as one of the world’s largest domes with luxe decor, the market comes with a price for souvenirs sold there. Book your flight to Phnom Penh today! 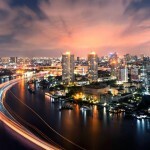 Visit http://www.bangkokair.com/eng/flightdeals/view/phnom-penh to check flight availability.